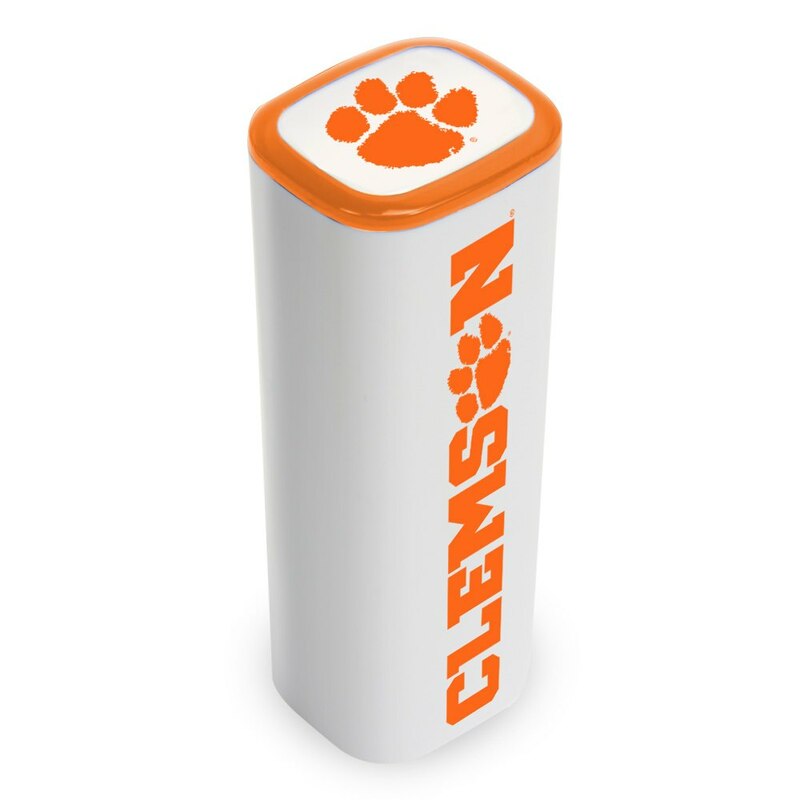 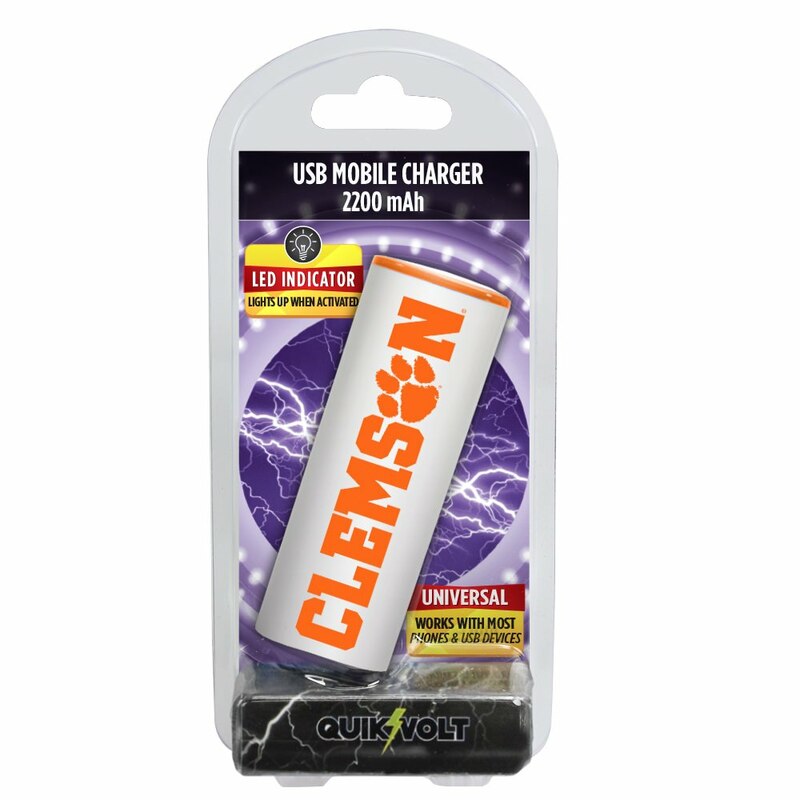 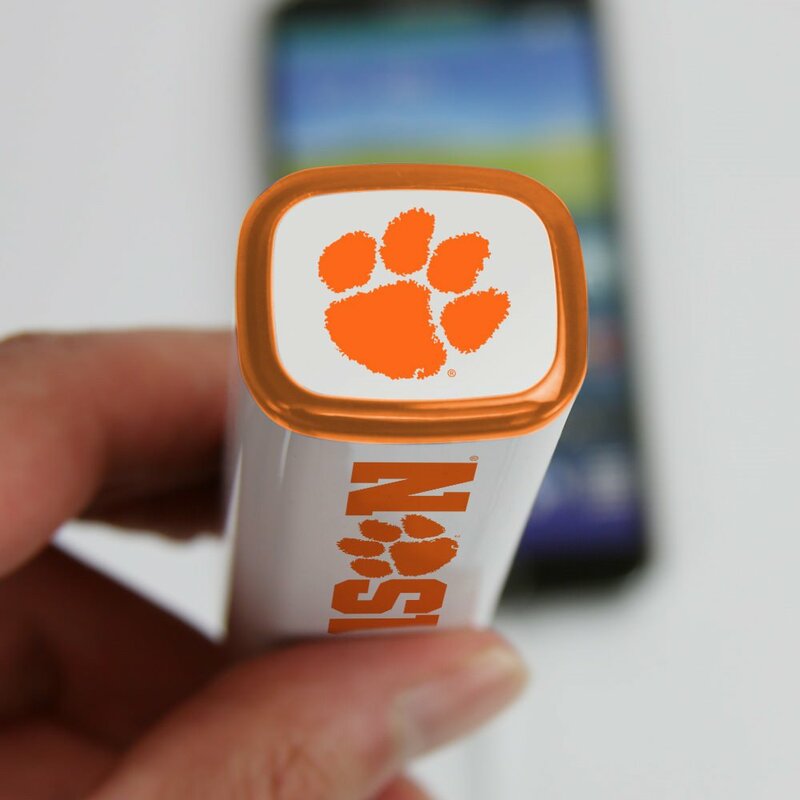 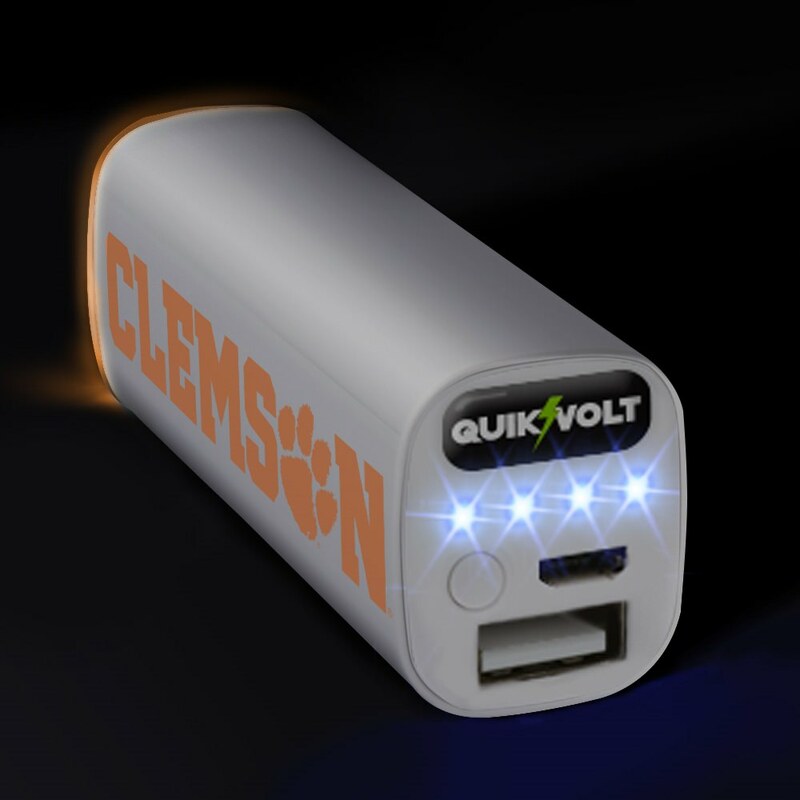 Show off your team spirit with the Clemson Tigers APU 2200JX USB Mobile Charger from QuikVolt! This portable USB charger has a 2200mAh battery and features an illuminated ring around the team logo. 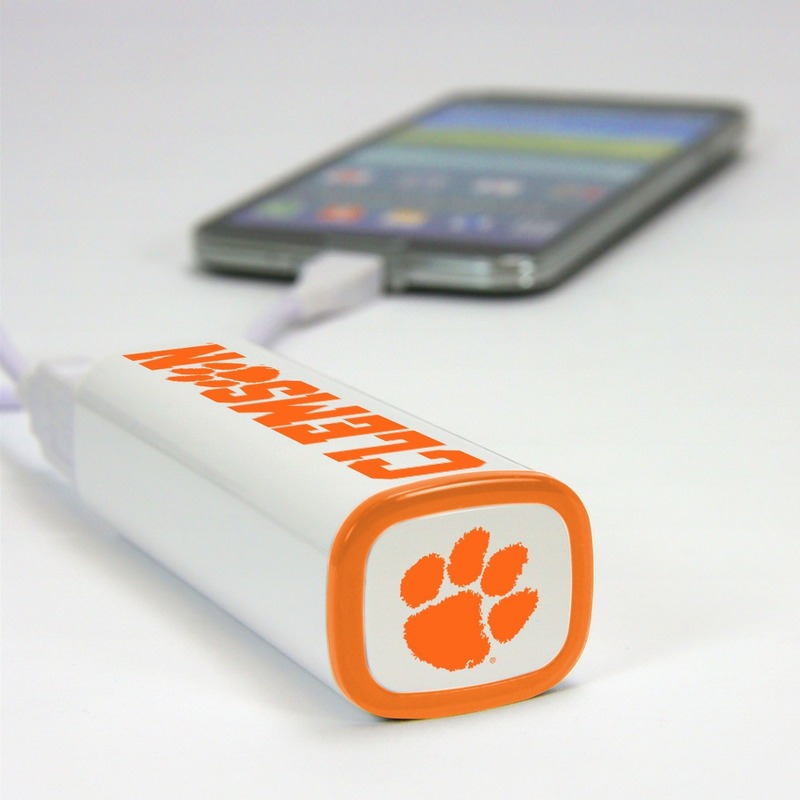 Includes Micro USB charging cable.